The action was intense and the gym was filled with lots of prospects to continue to watch grow and develop at the Generation Next Basketball Association (GNBA) event this weekend in Waukegan IL. Here is a list of a few 2018 prospects (not all) that most certainly impressed. Marquis Brown is one of the most relentless players that you will ever see for a prospect at this age. Brown’s energy and effort were impressive all weekend. 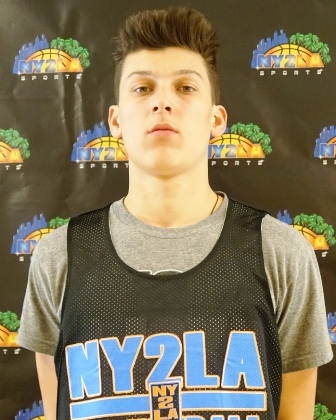 Not only does the prospect play extremely hard, he is very skilled player attacking the rim with authority. He was at his best at one of the weekend highlight match-ups between (IL) Mac Irvin Fire and (MO) Team Ramey Basketball. Brown poured in 33 points 6 rebounds and 5 dimes in a close loss to Ramey controlling the offensive glass and attacking the rim to get to the candy stripe. Brown shot 11-12 from the line. After the 1st weekend of action he will be a joy to watch the reminder of the season. David Dejulius a 6”2 2019 elite prospect playing in the 8th grade division was solid against stiff competition. Dejulius has "special” written all over him. By all accounts, Dejulius was one of the most impressive prospects during the weekend regardless of class. He has great strength and an extremely diverse skill set for a kid his age. Dejulius can perform the duties of a lead guard, but when needed he can assert himself on the offense end and score the basketball. 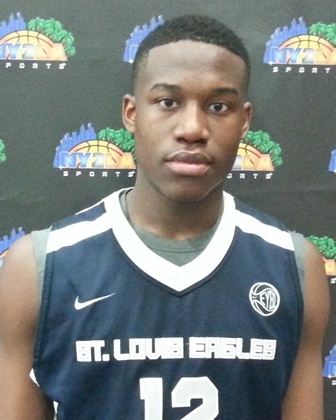 Dejulius best performance over the weekend was on Sunday in a great matchup vs. the talented Wisconsin United team. David scored 15 points shooting 4-7 from the 3 point line. Dejulius did not shoot the ball exceptionally well from the 3 point line during the entire weekend, but he has a solid stroke and solid mechanics. Dejulius presence will add to the continued excitement of the GNBA. Ramey impressed as usual displaying the type of lead guard skills that will have college coaches calling very soon. Most importantly, Ramey led his team to a 4-0 weekend record highlighted by the victory over (IL) Mac Irvin Fire. Ramey led his team in scoring with 17 points in the victory over the Fire. 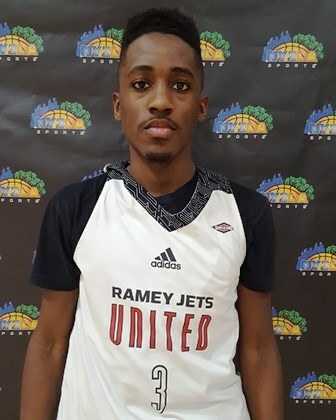 Ramey was in control throughout the weekend and delivered a number of solid floor performances while serving as the catalyst for his team's strong opening weekend. Thatch demonstrated an ability to score the ball at a high level this weekend. Thatch had one of the most impressive weekends of any prospect. Thatch plays much bigger than his 6”1 stature he grabbed six rebounds to go along with 18 points in his teams opening game victory. In Team Ramey’s biggest game of the weekend, at least judged by the massive crowd who tuned in to watch, Thatch was unrelenting scoring 14 points and grabbing 7 boards to help lead Ramey to the victory over Mac Irvin Fire. Thatch is an intriguing prospect who could be special especially if he grows a few inches in the next couple years. Muhammad scored the ball very well during the 1st week of GNBA action. 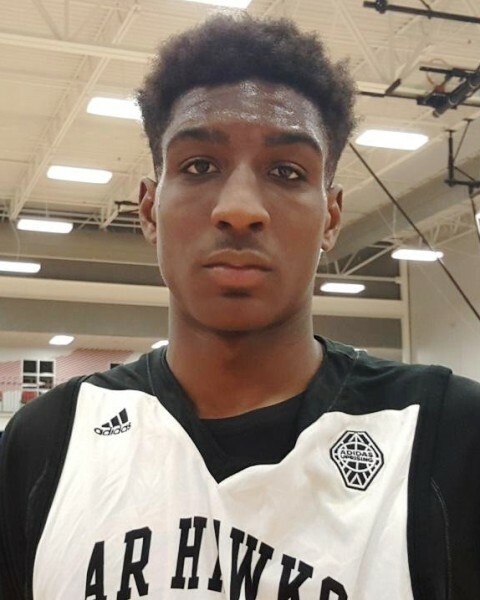 Muhammad notched games of 18, 9, 25, and 15 points respectively leading his team to a 4-0 record over the weekend. Muhammad did a lot of his damage at the line getting to the cup to earn a chance for free points. Muhammad will be a serious prospect to keep an eye on during the remainder of the GNBA season. Reggie Perry is one of the most intriguing prospects in the league. Reggie is 6”7 Forward who can handle the rock, step out knock down the triple, and get his teammates involved. The Hawks finished the weekend without a blemish on their record (4-0) and some of their success could be attributed to Perry being able to control the tempo of the game. Although Perry played on the wing the majority of the games he displayed his ability to handle the peel pushing the ball down the court getting teammates involved or taking to the rim himself. Perry scored in double figures in each of his games, but he was also efficient in other areas of the game grabbing rebounds and dishing out a few assist. Henderson is a long lean active prospect who showed excellent instincts on the defensive end all weekend. Not only did Henderson play well on the defensive end he had one of the weekends biggest highlights when he threw down a thunderous dunk in the midst of a number of defenders. Ethan’s best performance of the weekend was probably against the Young Legends in which he scored 11 points had 8 rebounds, 2 steals, and 5 blocks. Henderson is the type of player that can fill up the stat sheet. Brunard a bruising prospect with great hands and quick feet for a player of his size and age displayed his impressive skill set this weekend. In one of the weekends best games Brunard was dominate scoring 20 points and grabbing 4 rebounds against (MI) Reach Legends in a 70-68 victory. 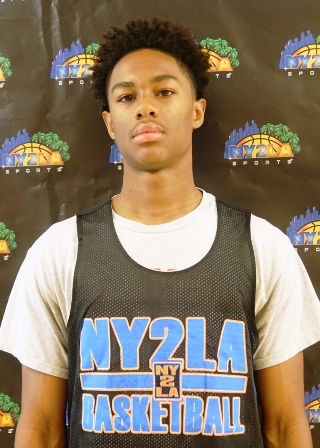 Brunard is a talented prospect who can with consistent effort be a factor every game he plays during the GNBA season. 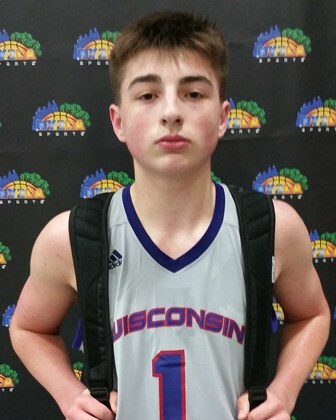 Herro was exceptional in United’s victory over (IL) Mac Irvin Fire Saturday afternoon. Herro was not very efficient overall from the field in the game shooting 31% but he was tremendous and timely from the 3 point line shooting 6-14 from the arch, knocking down treys in significant moments in the game. Herro finished with 20 points vs. the Fire. Herro scored in double figures in each of this weekends games. McCabe played well all weekend not only scoring the ball but also filling the stat sheet in a variety of categories. In a victory against Kessel Heat, McCabe notched 21 points 4 assist and 3 steals. In a victory against (IL) Rising Stars, McCabe was able to score 13 points grab 4 boards, drop 3 assist, and get 2 steals. When McCabe keeps his turnovers down, he was one of the more efficient prospects in the 2018 class.